Partial knee replacement or total knee replacement? Which do you need? Not every patient suffering from knee osteoarthritis needs to have a total knee replacement. When only one side of the knee has worn down, you may be a candidate for partial knee replacement. Partial knee replacement is also known as unicompartmental knee replacement. Three major compartments make up your knee. The medial compartment is the inside part of the knee. The lateral compartment is the outside part. The patellofemoral compartment is the front of the knee between the kneecap and thighbone. In a partial knee replacement, we replace only the damaged compartment with metal and plastic. We don’t affect the healthy cartilage and bone in the rest of the knee; we leave it alone. If you qualify for this solution to your knee pain, you will discover it has some distinct advantages over total knee replacement surgery. You will have increased motion in your knee after you have completed your physical rehabilitation. This is over and above that which a total knee replacement patient will experience. Because we maintain your ACL (anterior cruciate ligament) in partial knee replacement, the motion will seem more natural. In total knee replacement surgery, we completely remove the ACL. The result is a more mechanical feeling to your new knee. We conserve more bone in partial knee replacement than in a total knee replacement. 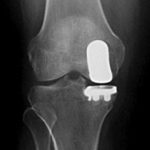 For the very few patients who either wear out the remainder of the knee or experience a loosening failure of the implant, this allows for a revision surgery. You can expect to return to your normal function more quickly than a typical total knee replacement patient does. Your orthopaedic surgeon will discuss with you whether partial knee replacement is an option for you. If it is determined you are a good candidate for this bone-saving procedure, you then must select the implant and technique best suited for you. 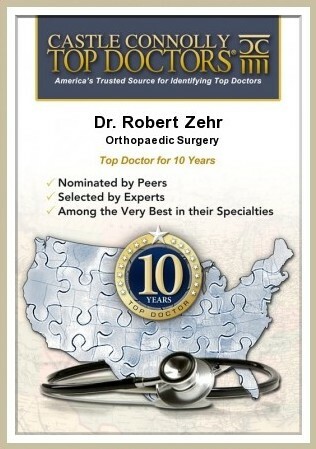 Dr. Zehr uses the sophisticated Mako Robotic-Arm Assisted Surgery System for partial knee replacement. Call us today at (239) 596-0100 if you are experiencing knee pain from osteoarthritis. 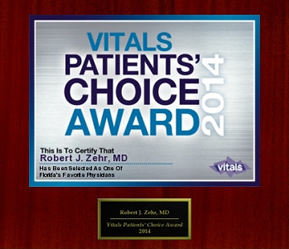 It could be that partial knee replacement surgery is a step in the right direction for you.